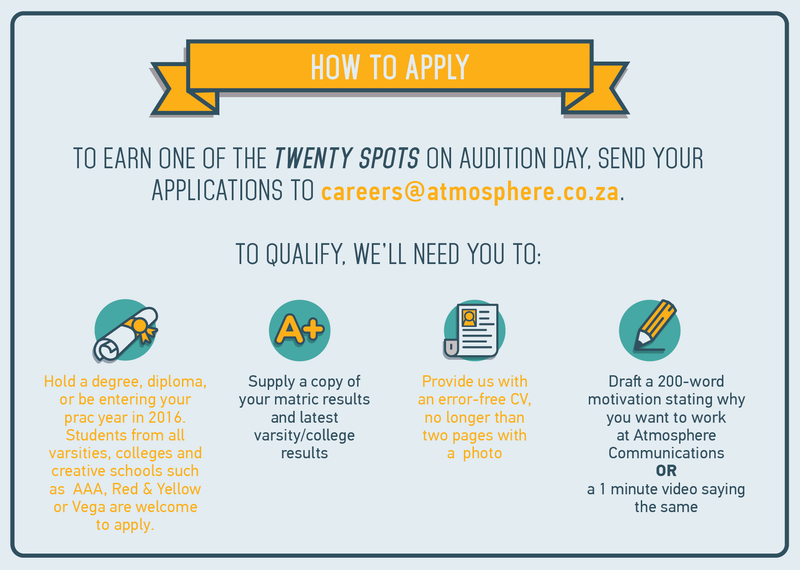 For the third year, Atmosphere is recruiting for interns via an ‘audition’ day for graduates. And this year, we are teaming up with our social media sister agency, Society. Around six internships are up for grabs, four in Cape Town (Atmosphere and Society) and two in Joburg (Atmosphere only). 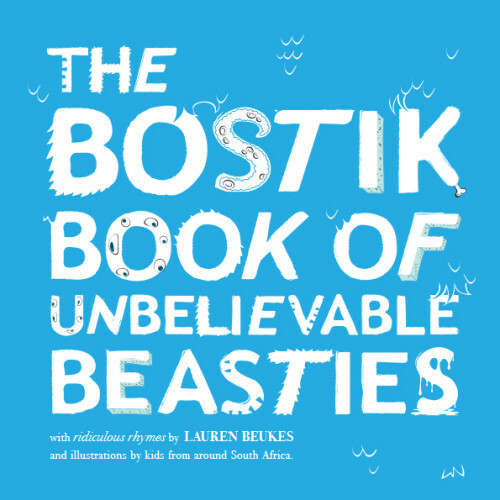 Candidates will be notified by 28 September 2015 they have been selected to audition on 2 October 2015. Visit and like www.facebook.com/ATMLaunchPad for updates!